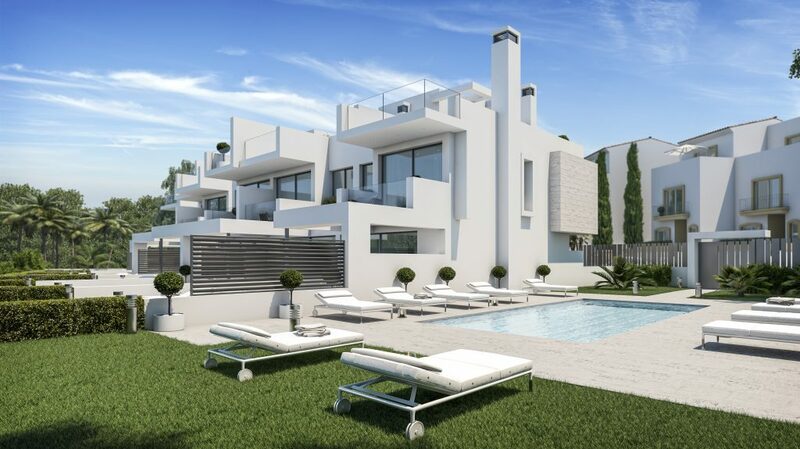 West Beach, small development of just 6 new build townhouses on the beach to the west of Estepona. West beach is a small gated community of just 6 townhouses located a few steps from the beach. The famous Estepona Marina is just a short distance away and all the amenities of the Estepona Old Town are close at hand. 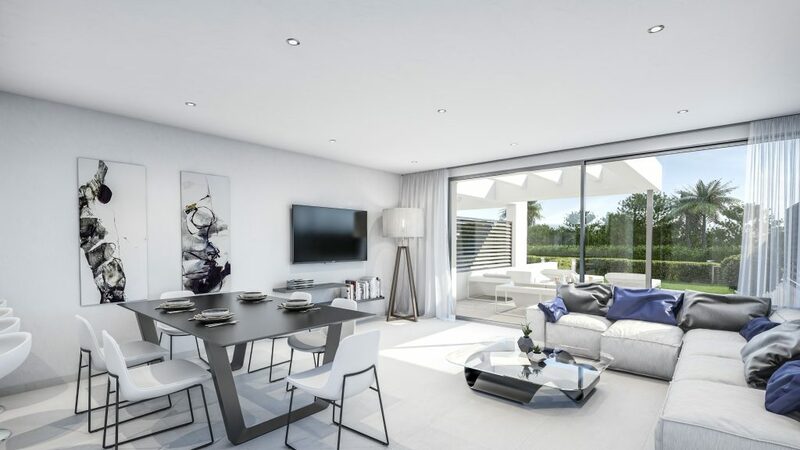 The houses offer bright and spacious open plan living spaces with a good sized sitting and dining areas leading to a well fitted modern kitchen with built in appliances and furniture. 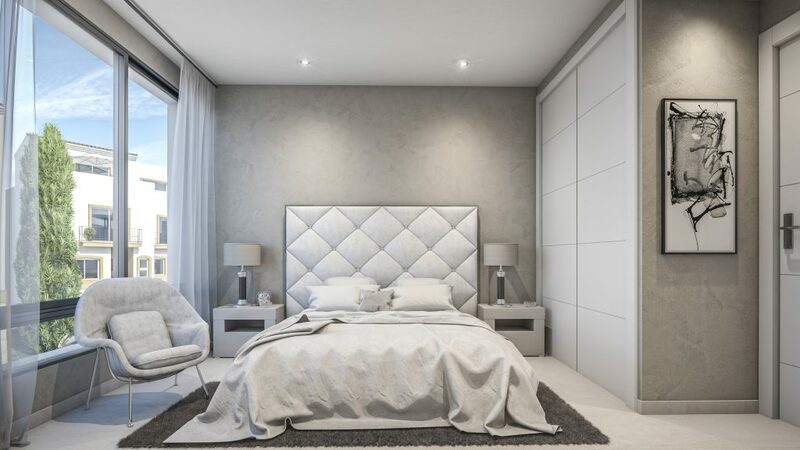 All the bedrooms are located on the first floor with the main bedroom having an en suite bathroom and the other two bedrooms sharing the family bathroom. There is a solarium plus a good sized terrace/garden at ground floor level. On the lower level there is a two car garage and utility room plus storage space.